Do you think of Utah as a desert state comprised of sandstone and sagebrush? Well, Utah certainly does contain some of the most beautiful sandstone formations in the world and more than the states fair share of sagebrush, but there is much more to it than that. Nestled on the eastern slopes of the Wasatch Range in Northern Utah, Park City is surrounded by a diverse array of flora and fauna, sure to enlighten the Utah skeptic and to indulge any who should find themselves out enjoying the unique resources of the area. The Wasatch offers a surprising variety of both flora and fauna but the most vibrant and colorful display is the explosion of different wildflowers as they dance across the topography of the mountains in a seasonal ebb and flow. While out on the trail hiking or biking keep your eyes peeled for lush patches of blue bells in the aspen groves or the vibrant yellows of mule ears sprawling across the open high meadows. The vibrant colors of the wildflowers are not the only thing delighting the senses out on the trail, enjoy the lovely scents of wild horse mint and a staple scent of the west, sagebrush. Throughout the season, varieties of wildflowers will bloom at different elevations depending on the changing conditions at those elevations; this colorful dance will brighten up a hike along the hundreds of miles of wonderful trails in the Park City area. 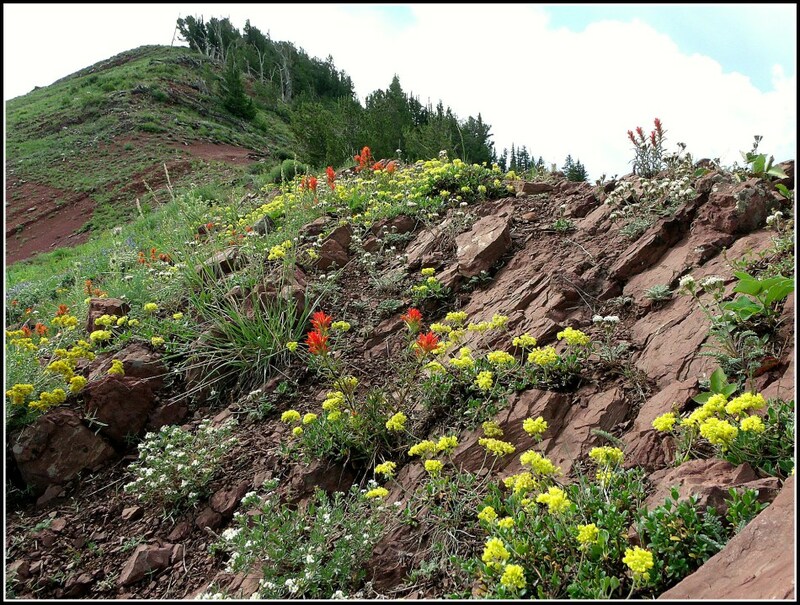 For those interested in celebrating the beauty and culture surrounding Wasatch Wildflowers, check out the Wildflower Festival in Little Cottonwood Canyon. While they provide beautiful punctuation to the surrounding mountains, the flora of the Wasatch range are not the only life thriving in these hills, wildlife abounds. 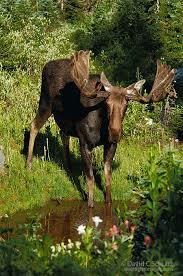 On early morning and evening outings, one may encounter a majestic Shiras Moose or Mule Deer. Be sure to enjoy these sightings from a distance as the Deer can be skittish and the Moose can be aggressive when threatened. A lucky hiker may also enjoy watching a Porcupine feasting in a treetop or a clever Marmot scheming its next meal. Due to Park Cities proximity to the Great Salt Lake, the area is a great place for birders looking to spot some rare migratory birds. The brine shrimp which live in the salt lake provide a seafood buffet for passers-by such as the Harlequin Duck or Red-throated Loon. In the summer it is also not uncommon to see Sandhill cranes wandering the foothills. For those who take the time to look, they will see that the Wasatch range is abundant with life in many different forms. Whether you are getting out on the trail hiking or biking, on the river fly-fishing or rafting, or out and about however else you choose, give us a ring at All Seasons Adventures, your local recreation professionals, and let us show you how we enjoy the flora and fauna of the Wasatch Range. We offer great tours with the best guides for all ability levels. We are fortunate to have such a wealth of hiking and biking trails in and around town, suited to any ability level, we also have the best river guides on the Weber river and the best fly-fishing guides you’ll find around. Not only can you feel safe going out with us but you can also rest assured that we will make your time in Park City is an exceptional experience!